This winter’s newsletter is simple and to the point: four short stories celebrating the journeys of four youth over the last few months. Bri worked hard to create the life she wanted for herself. Anthony worked at Street Bean for five years while he made his way through school, and finally got a job in finance after graduation. Michael fought through discrimination to make his way off the streets, into school & employment, and finally, into housing. And Anthony (a different one! ), completed his journey through sobriety and moved away to begin a new life with his soon-to-be wife. Read their stories in our Winter Newsletter, and thanks for supporting New Horizons and youth like these as they journey toward stability. 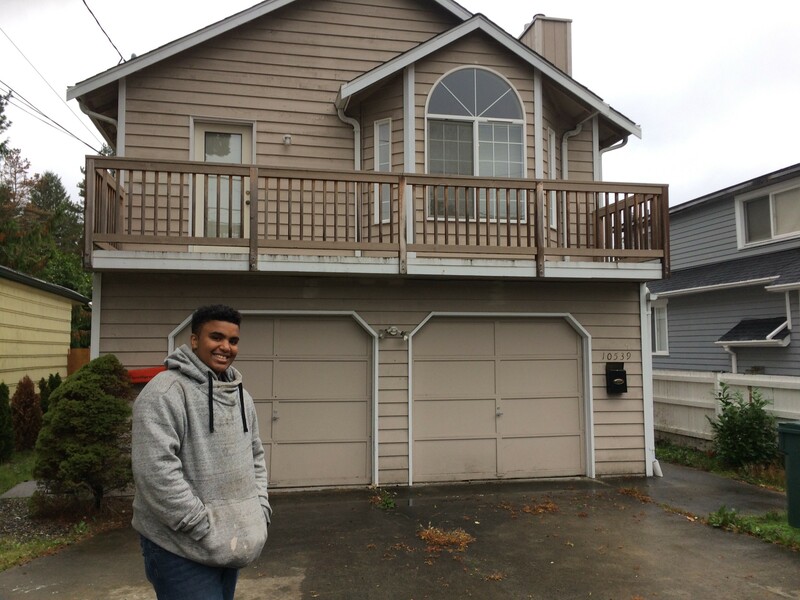 How do young people find places to live in the crazy Seattle housing market? You don’t have to live on the streets to feel the stress of Seattle’s ballooning housing market, now leading the country in home-price growth for over a year. 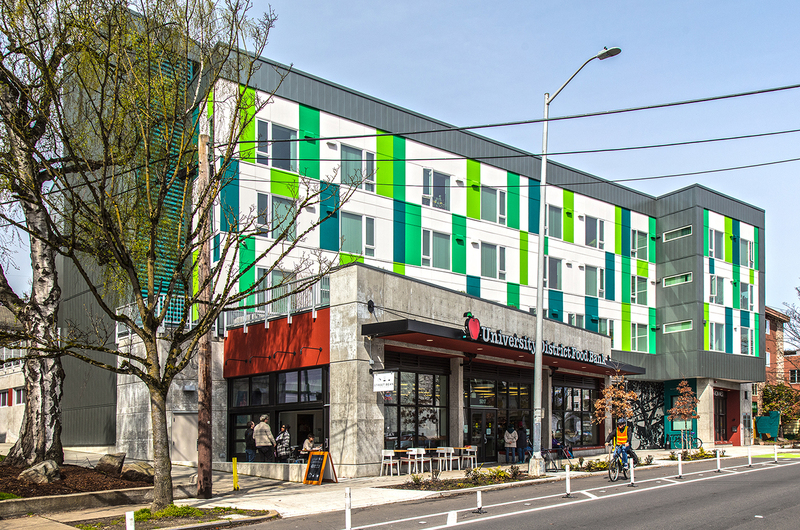 Competition for affordable housing has crept into nearly every economic bracket, pushing long-time residents out of their homes and changing the face of our neighborhoods and suburbs as Amazon and others bring in talented work from around the world. It’s no surprise, then, that Seattle isn’t teeming with affordable places to live for low-income individuals seeking to escape the streets. However, there are a handful of options available, and that’s where our case managers are able to work their magic. 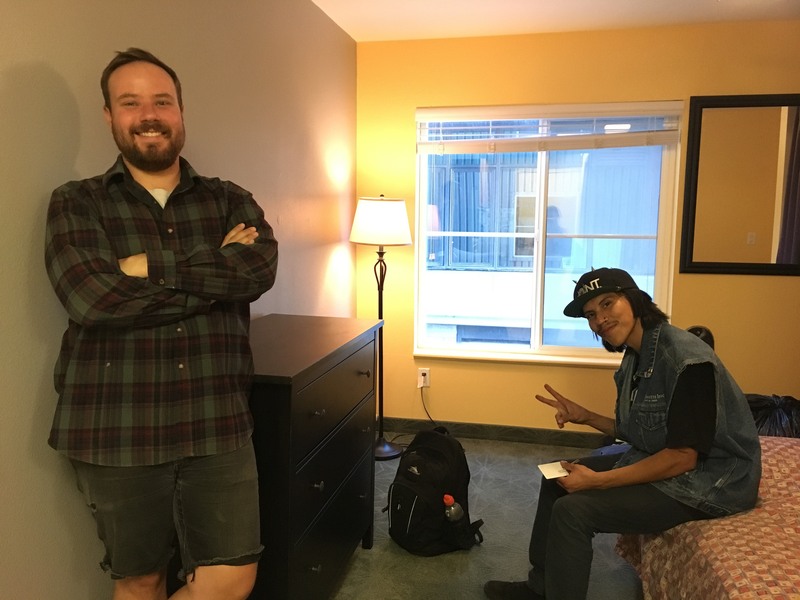 Case managers work with youth to navigate Seattle’s complex housing market and the programs available to help make housing affordable for young people trying to leave the streets. Together, case managers worked with over 100 youth find a stable place to live in 2016. But, you might be wondering, where do these youth go with such a crazy real estate landscape surrounding us? There are four primary programs and means for making housing available to help youth leave the streets, and your support helps youth find access to each through supportive relationships with case managers and staff. 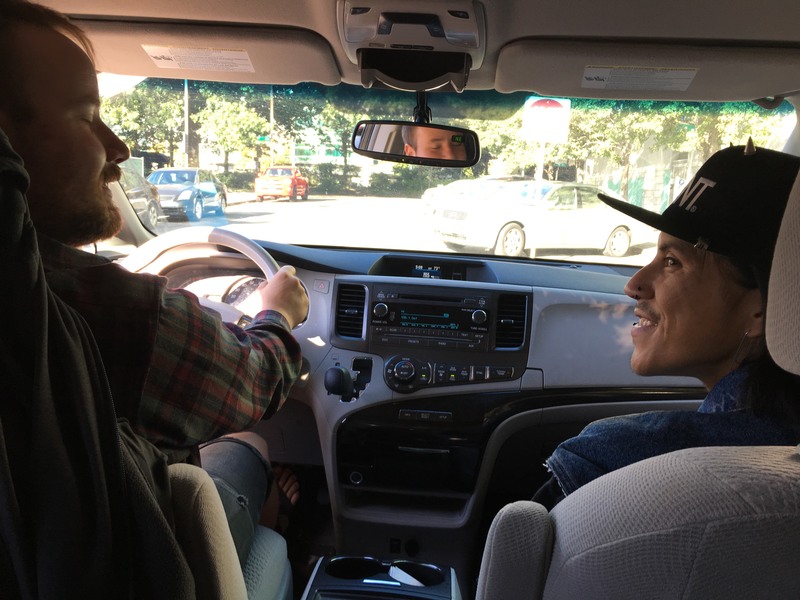 While they aren’t the most common source of housing, programs that involve the community more directly are sometimes ways for youth to exit the streets. We’ve partnered with Accelerator YMCA’s Host Homes to recruit members of the community who are willing and able to open a room in their home to a young person who is well on his or her way to affording housing, but isn’t quite there yet. These young adults are working and/or in school, and just need a few months of support to fully exit the streets when other programs don’t have space or overlook them as “too successful” to be in need of assistance. Community support is one of the most relationship-centered ways for us to support youth on the streets. Imagine when you were leaving home to live on your own for the first time. You might have worked a full- or part-time job to keep on top of your monthly bills, but odds your parents or someone in your life was there to support you with rent or a phone bill if you needed help. Financial assistance programs provide this kind of funding for youth who do not have a support system in their life that can provide for them in this way. Some financial assistance can help young people stay in housing by allowing them to make rent or pay utilities that month, or by providing 3-6 months of decreasing rent support as a young person works toward more financial stability on his or her own. It acts as a safety net for individuals who might otherwise become homeless without support. Home at Last is a program that recently helped Jesse get an apartment. The program offers monthly rent support until a young person no longer needs it. Perhaps the most common type of housing assistance for youth, transitional living programs offer youth a stable place to stay for anywhere from 1-2 years. These facilities range in what they offer, but most are community living spaces with private rooms and other shared spaces, like kitchens and entertainment rooms. 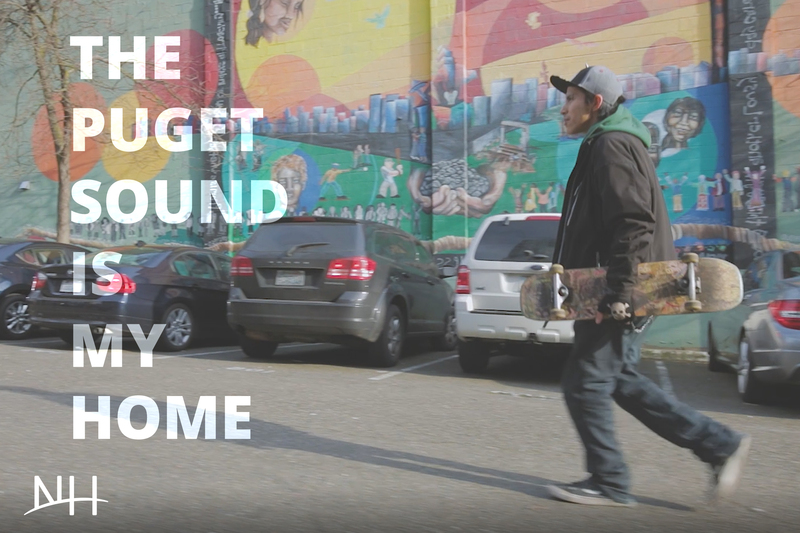 Most require a small fee or only charge income-based rent, which is significantly more affordable than paying rent in Puget Sound and consequently frees youth to work or go to school while they save and plan for the future. Frequently, these “TLPs” have a few community rules around shared spaces that encourage responsibility and consideration of others, much like campus dormitories would have for youth of similar ages who were attending college. Finally, these programs are similar to transitional living programs, but offer some kind of specialized support for residents with illnesses or addictions. For example, one young man was able to find housing with financial assistance, but due to a mental illness was not able to thrive living entirely on his own without anyone to support him. His case manager helped him find a spot in a clinically supportive facility, where he receives clinical supervision by people who know what he needs to be successful. It is a much more compassionate situation for him, because he is not only stably housed, but also relationally and clinically supported. Unfortunately, these programs are rare and funding is limited. Many more young people could be successful with the supports these programs offer. Clinically supportive housing provides youth who need mental health or chemical dependency support the opportunity to lead healthy, whole lives by offering necessary support as they begin to live independently. 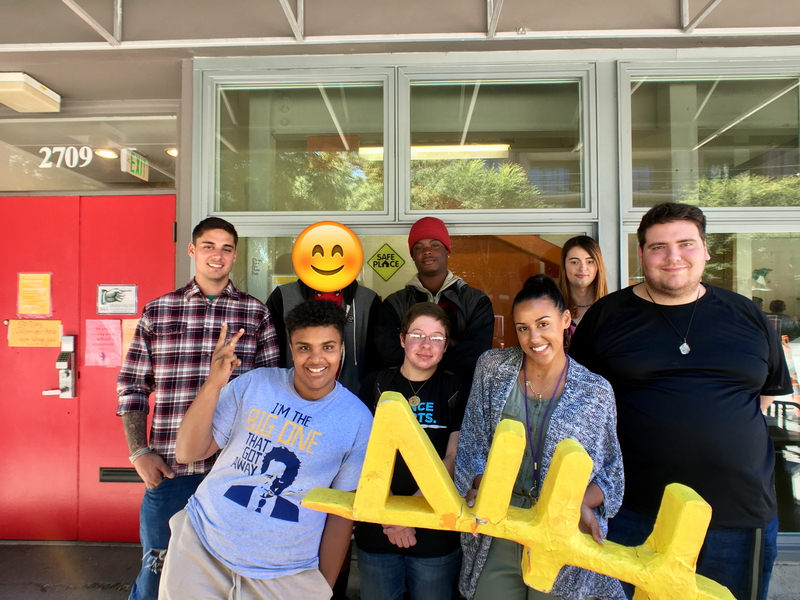 Despite Seattle’s rapid expansion, we’re grateful that your support and partnership allows us to connect youth to resources like these programs so that they’re able to pursue their goals and get on to bigger, better, healthier, happier, stably housed lives. How did you hear about Host Homes? For most of New Horizons’ almost 40-year history, developing meaningful relationships has been our number-one priority. And even as our services have grown and shifted to become more culturally responsive & clinically sound, our volunteers have been the glue that has kept us tied to our relationship-first approach to engaging with youth on the streets. 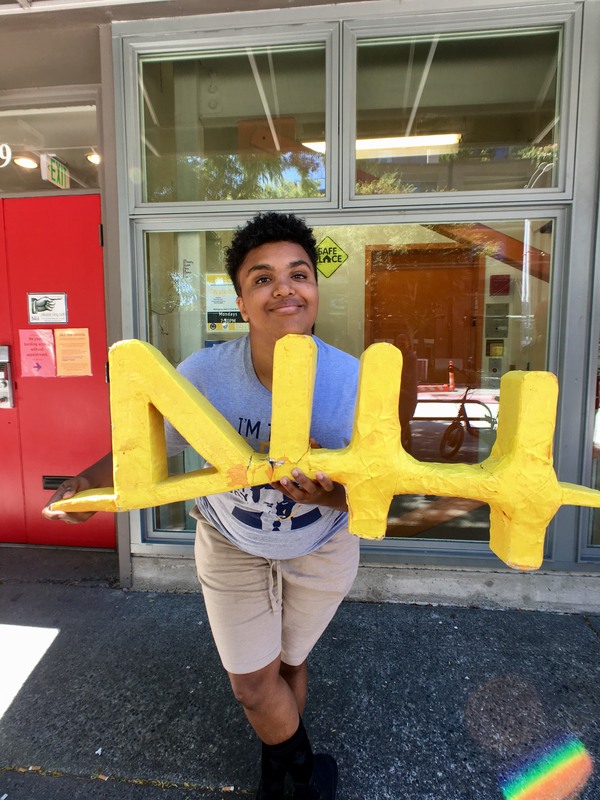 If you’re passionate about contributing to our community’s efforts to end homelessness, love working with young adults, and are looking for a place your volunteer hours could be spent developing meaningful connections, New Horizons is the place for you. Because of our priority on relationships, we prefer our volunteers to make one-year commitments to serving with us in order to create consistency & stability for youth who come to New Horizons for services. Here are five ways to take the next step and get involved with New Horizons, with some help from a few of today’s most popular internet memes. If you’re interested in any opportunities, fill out the Community Tour form at the bottom of the page, or if you’ve already taken a Community Tour, email volunteerprograms@nhmin.org. Not only do breakfast food groups make the building smell great by frequently livening up the space with the smell of bacon and sausage, but they also help 40-50 youth get a nutritious start to their day by cooking a delicious meal. Day Programs take place after breakfast on Monday through Friday. During this time, various community partners visit our Drop-In center and offer resources like creative writing, music therapy, mental health counseling, and healthcare. Day Program volunteers hang out with youth during this time and help them get connected with the resources they need. Volunteers may help with youth laundry or access to clothes or personal care items from our self-care supplies, or they may simply sit at a table and have meaningful conversations with youth while they wait for services. There’s no better way to begin developing meaningful relationship than by sharing a meal together. Dinner food groups make this possible by cooking for around 50-60 youth, staff, and volunteers, which gives them the opportunity to gather around the table the same way a family would at the end of the day. Responsibilities: 4-6 people purchase, prepare, & serve dinner in New Horizons’ commercial kitchen space, as well as clean up afterward. Food groups may serve whatever meal they choose and are encouraged to be creative! 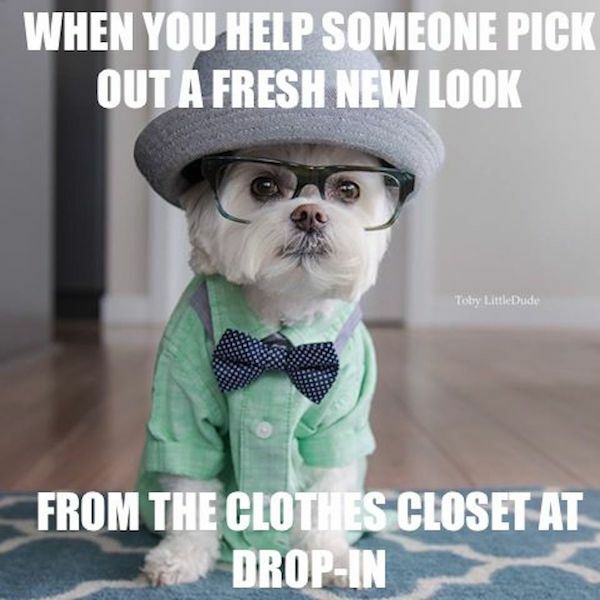 Drop-In volunteers come one night a week to eat dinner with youth, help them find access to whatever resources (laundry, showers, clothes, etc.) they may need, and mostly, to form friendships with youth. For a couple hours while the Drop-In center is open, volunteers are on the floor to hang out and have fun with youth, which helps us keep relationships at the heart of what we do. Shelter volunteers come to help staff at the beginning of overnight shelter once a week. They hang out with young people before they go to bed, perhaps playing games or watching a movie with youth, and assist staff with any tasks that may need to be done. If you’re interested in any of the above opportunities to volunteer with us, please fill out the form below to attend our next Community Tour. Someone will follow up with you shortly after filling out the form. 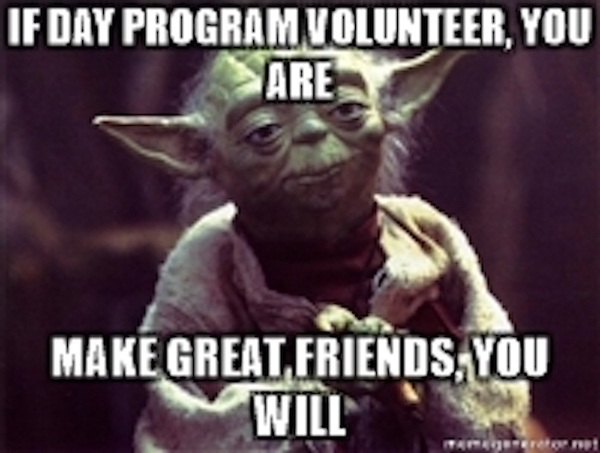 We couldn’t do what we do without our amazing volunteers – we hope you’ll join us as one of them! If you’ve already attended a Community Tour or have additional questions, please email volunteerprograms@nhmin.org. 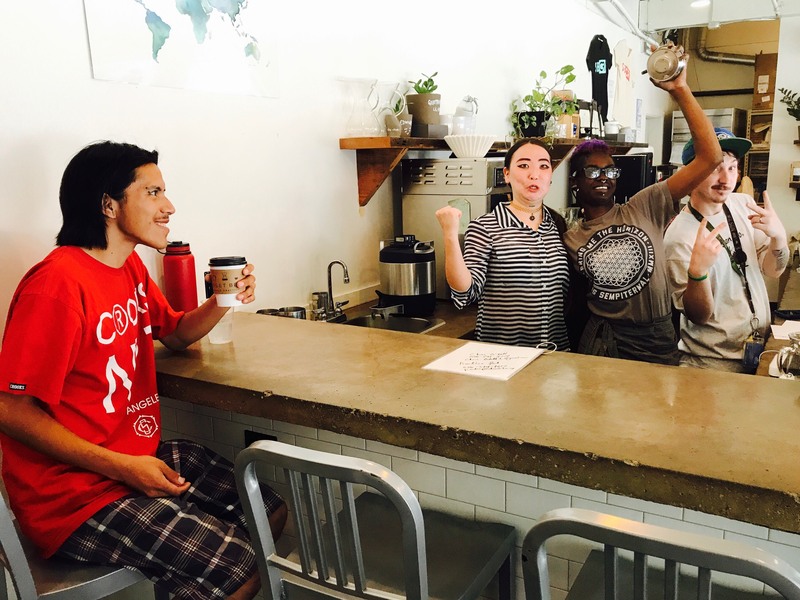 Since Street Bean began in 2009, many youth have had the opportunity to develop skills as talented baristas, cultivating a trade that makes it possible for them to enter the specialty coffee industry while they pursue school, stable housing, and other avenues of employment. 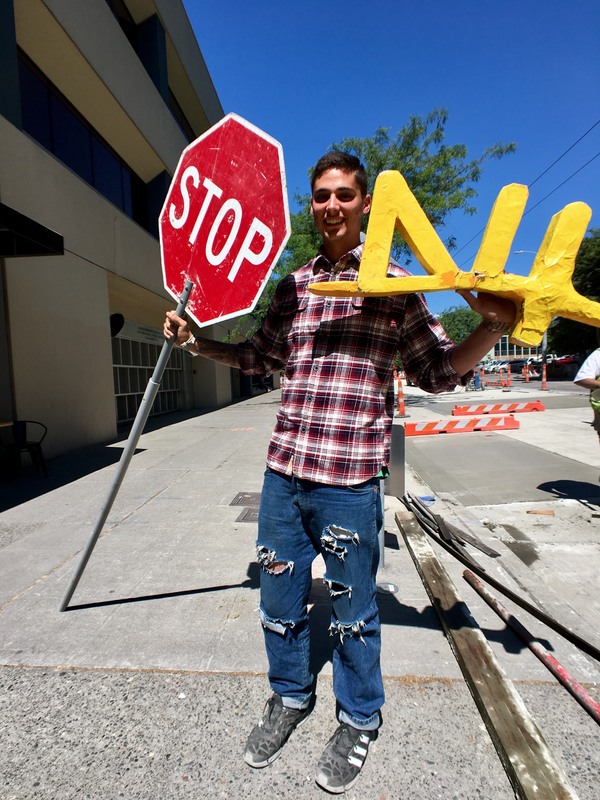 Over the years, it’s become increasingly apparent that when youth work as apprentices in our Youth Employment Program, they learn much more than a single skill to help them find work in the future. Through job training apprenticeships, youth learn not only the hard skills relevant to a specific industry (i.e., highly measurable skills like doing math or programming software or steaming really great latte milk), but also the soft skills necessary for any future employment opportunity. What are soft skills? They’re the difficult to measure, but highly desirable skills and abilities like how to communicate, work on a team, be on time for your shifts, and manage your time & emotions. And as it turns out, these soft skills are among the most important skills a young person can bring to a job interview. In a 2016 survey of over 300 managers in the U.S., four of the most-desired skills in a prospective employee were communication, organization, teamwork, and punctuality. Many youth who are homeless have not had the opportunity to learn these types of soft skills at home, like most of their stably housed peers. While many youth who complete apprenticeships with Street Bean or our other partners may not end up with careers in the coffee or food service industry, apprentices have the opportunity to hone at least four soft skills during their apprenticeships that equip them for success no matter what career path they take. When a young person is hired on as an apprentice, part of their paid workload is to attend the New Horizons Leadership Institute, a series of weekly classes that equip youth to deal with the parts of life we all love to hate – personal finances, time management, and conflict resolution, to name a few. One class is taught by a local banking professional, who covers everything from the basics of budgeting to understanding and learning to use credit. As apprentices receive a monthly stipend, they have the opportunity to put into practice the financial skills they learn through the Leadership Institute, like any young adult who’s just begun working. Anyone who has worked a job knows that the first few days can be nerve-wracking, especially in the service industry. There are customers to serve & keep happy, and any mistake can reflect poorly on the business. Youth at New Horizons have a safe place to fail on the job. We expect punctuality, good communication, and good work ethic from apprentices, but we also understand that circumstances may affect someone’s ability to deliver on all of those qualities every day. The Youth Employment Program aims to create a safe place and clear system in which youth learn to communicate their needs and ask for help when necessary without fear of punishment or job termination. As we create a safe place for this kind of on-the-job communication, youth have the opportunity to learn to call in to work if they’re going to be late or out sick, to find other coworkers to cover shifts, and how to deal with conflicts on the job. Simply having a time and place they must be somewhere compels many apprentices to schedule their time more intentionally. It creates a schedule around which youth can work on their hobbies and other activities, and the structure of a schedule generally invites more stability than life on the streets. Some Leadership Institute classes offer tips on time management and similar soft skills, and our Youth Employment Coordinator and Case Managers frequently listen to youth who are working on developing good work & time management habits. Many apprentices use job training as a step toward their other goals. 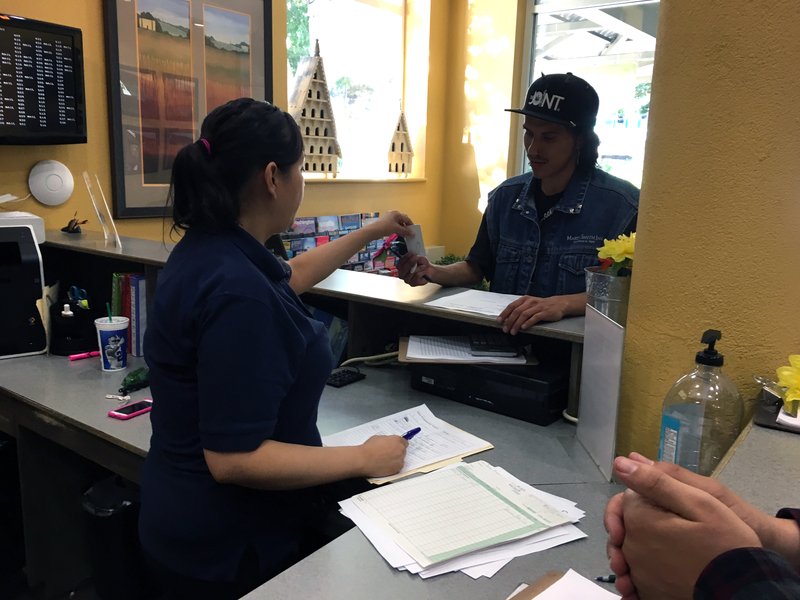 Often, once youth get a job through the Youth Employment Program and a stable place to sleep in The Nest, they begin taking even more steps toward stability, like pursuing a high school diploma, starting community college, or applying for undergraduate programs. It’s encouraging to watch young people begin to believe even more deeply in their own potential once they begin working regularly. It’s not necessarily the tasks or to-do’s associated with the job that make a difference; often, it’s merely the opportunity to contribute as equals that encourages youth to pursue longer term goals. 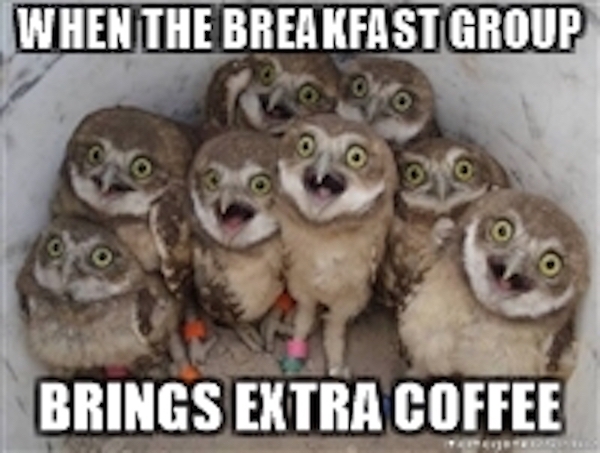 Recently, a young woman walked out of class eager to examine how much of hers & her boyfriend’s budget was going toward coffee. When she returned with the verdict, she was understandably less excited, but quite determined to spend less on the caramel lattes she’d grown to love at Street Bean, all because of what she’d learned through the Leadership Institute. And while it’s disappointing to learn that it might be a better choice not to drink so many caramel lattes, it’s exciting to see her and many others in the Youth Employment Program putting the soft skills they’re learning into practice. In the last year, you’ve helped us plant a youth-led church at New Horizons. Each Friday at 11am, Betterlife Church’s The Gathering breaks the holy bread & wine of every youth-focused ministry, pizza and soda, before delving into an hour-long discussion on various Christian themes. 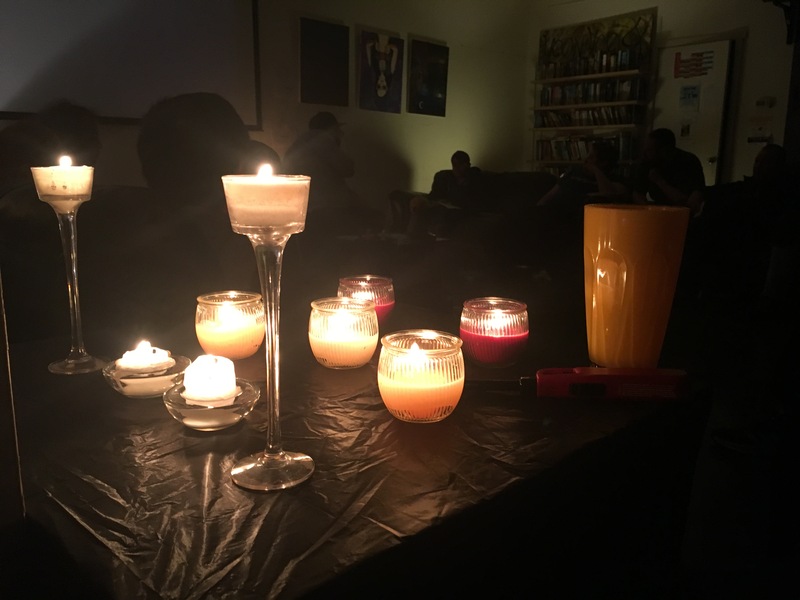 At a recent service, I was struck by the fact that, for a few dedicated youth, The Gathering has become a sanctuary of sorts, so much so that they arrive early to help set up, attend weekly meetings to plan each service, and engage deeply with each week’s topic of discussion. One of the most committed members and one of the very first to help create the church is a young man named Adam. Adam sets up an altar every week, though hardly anyone ever chooses to kneel or pray at it. Still, it has become a sort of visual anchor, an Ebeneezer, at the center of each service. Its gently wavering light dances softly into the air, rising as though an illuminated collection of prayers from the saints pictured on the side of each candle. Are they praying for God to be here, to be present with us? I wondered, amused. Whether the saints were praying or not, I think God was there. I think God is there, every week. As I sat there, hypnotized by the flickering light of this altar at the center of the room that seems to serve no real purpose, yet somehow very much does, set up faithfully each week by a young man whose life has been fraught with injustice & pain, the curiosities and questions of intelligent minds and lonely souls began to fill my ears, and I thought of this story about two men who once, too, sought after Jesus. Teacher, where are you staying? Essentially, Jesus, how and where do we find you? Looking around the room at the ten or so young people engaged in dialogue led by the youth chaplain, all so curious, so full of ideas, so eager to discuss, to learn, to find – it was then I knew the most powerful offering of The Gathering is not the discussions themselves, the sacramental pizza and soda, or the extra time off the concrete streets on a hot summer afternoon – though each of those things are beneficial in and of themselves. No, the real power of this space is that it is a place where youth who boldly approach and ask, Jesus, how and where do we find you? – as Jesus’ earliest disciples did – may encounter the invitation of Love: come and see. And just as Jesus was faithful to show his disciples what they asked for, so too will Jesus be faithful to show these curious minds what (that is, Who) it is they ask to see. This story is part of our 2017 Annual Report, available online now. Learn more about Adam & youth who have found resources & relationships at New Horizons this year with your help. Your support makes it possible for homeless youth to find the stability and support they need to exit street life. The past year has been no exception. 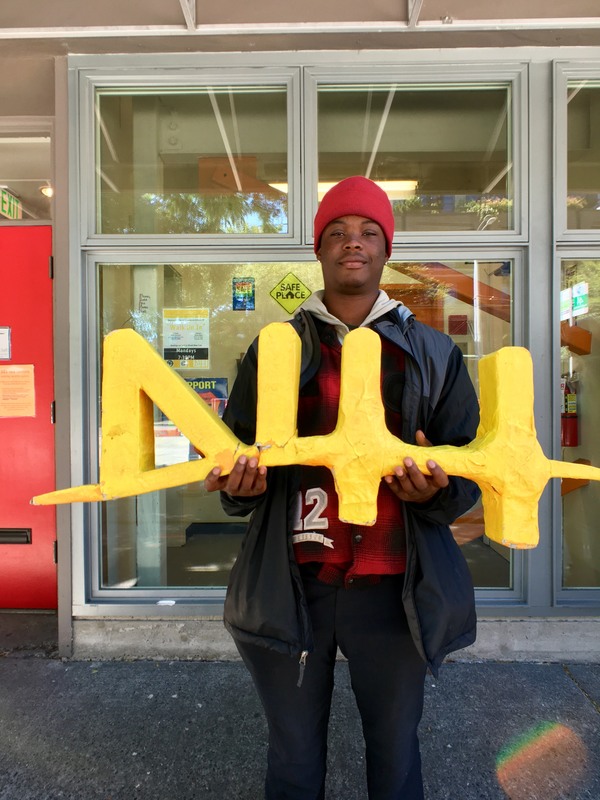 Since we last released an Annual Report, New Horizons has grown, shifted, and adapted to the needs of youth on King County’s streets. We’ve sought to listen to young people’s feedback and to hire clinically trained staff who are able to offer the most culturally responsive services possible, all in order to best meet the needs of the young people we’re privileged to know and serve. 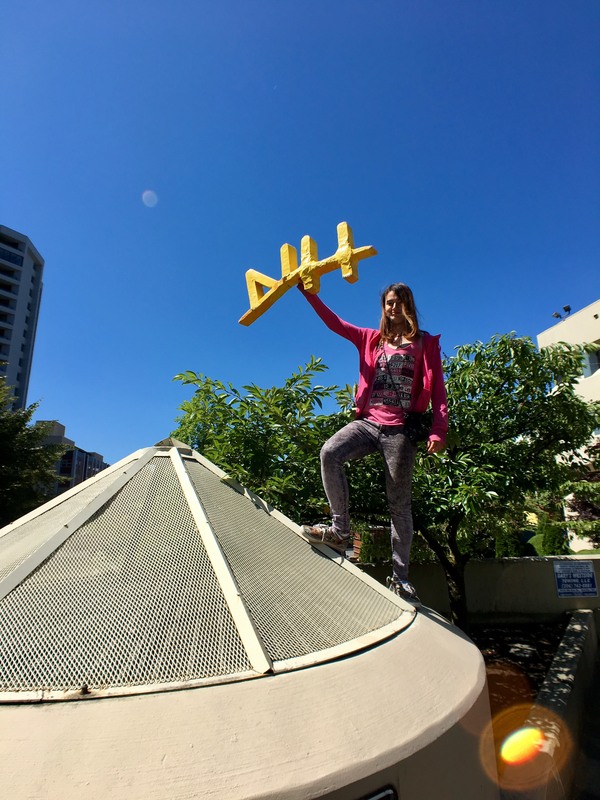 The story of the last year at New Horizons has been more. 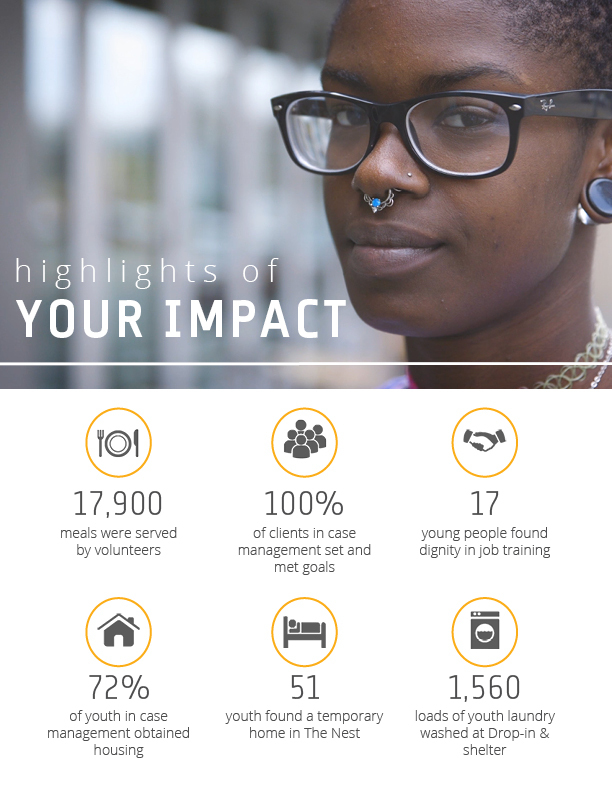 This year’s Annual Report demonstrates the power of your impact to make a real difference in real youth’s lives. As you’ve partnered with us to offer more of the resources & relationships that empower youth to fulfill their potential, we’ve been overjoyed to see them flourishing as they’ve received safe, stable places to live, more opportunities to work and contribute their skills to our community, and consistent love and support that dignifies their humanity and God-given worth. Use the button below to read this year’s full report of all you’ve partnered with us to offer this year, and thank you for making it possible for youth to have more of what they need. A lot has been going on around the office over the summer: we’ve got a new set of apprentices, some new apprenticeship partners, and a brand-new staff position to manage our growing job training apprenticeship program. To handle a wonderful “problem” – a successful, burgeoning job training program – we created a new position designed specifically to give our apprentices the best possible experience during their six-month job placements. Alicia, formerly our Administrative Coordinator, stepped into her new role as the Youth Employment Coordinator in July and has been busy fine-tuning our apprenticeship program until it’s a well-oiled machine. She’s there to help apprentices navigate their schedules, answer their questions, and offer support to each individual as they need it. Our job training program seeks to give youth both practical skills and soft skills that make good employees great. In addition to learning new skills for the job market, apprentices earn a stipend for their work and attend weekly Leadership Institute classes at New Horizons, where they receive life skills training – like financial literacy and budgeting practices from local banking professionals, conflict resolution techniques, resume & cover letter workshops with Seattle Public Library, and more. 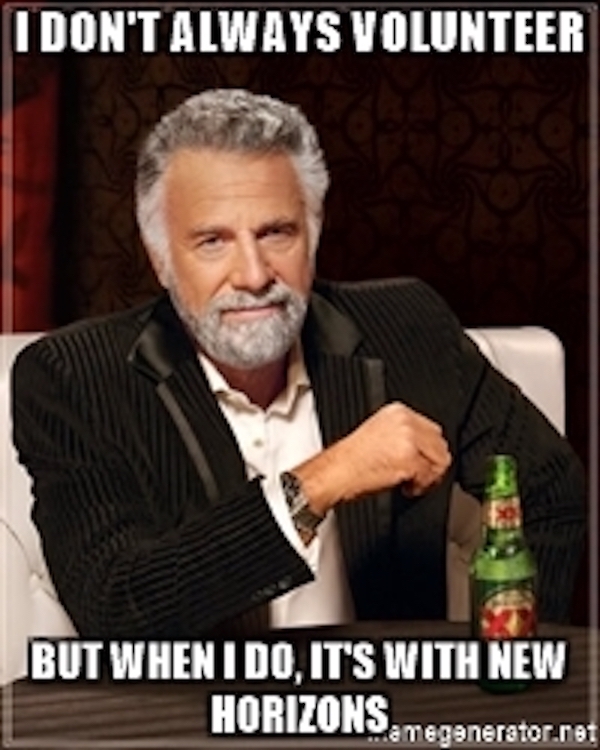 With all the adjustments to better our apprenticeship program, we decided to make one more change. What was formerly known as the EXALT Apprenticeship Program is now the Youth Employment Program, affectionately known as YEP. Not only do we love the enthusiasm of the acronym, we’re also proud to be able to say, “Yep! You’re in!” to the individuals who apply for and receive job training apprenticeships through our program. Help us welcome the Summer 2017 Cohort and wish them well! Aaron has been consistently early to every shift! He gets right to work without much need for direction, and gets our space looking neat n’ tidy. We’re lucky to have Aaron on board. Fun fact: Aaron’s favorite artist is Gucci Mane. 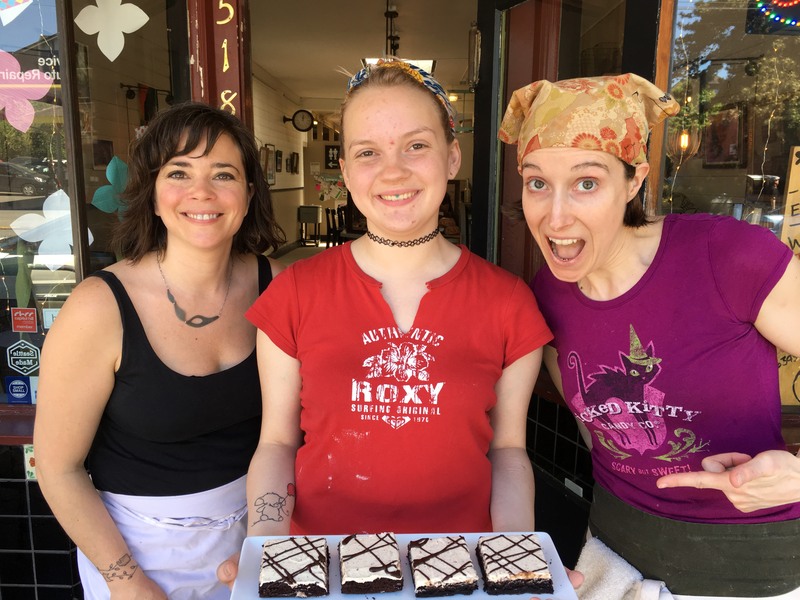 Kara splits her time between New Horizon’s kitchen under the guidance of Volunteer Coordinator Isabella and working at Nuflours Bakery, a gluten-free bakery in Capitol Hill, where she helps with food prep, learns the tricks of the gluten-free baking trade, and works in customer service. Fun fact: Kara is an extremely talented poet. Zak is the first to hold the brand-new position of Administrative Apprentice. 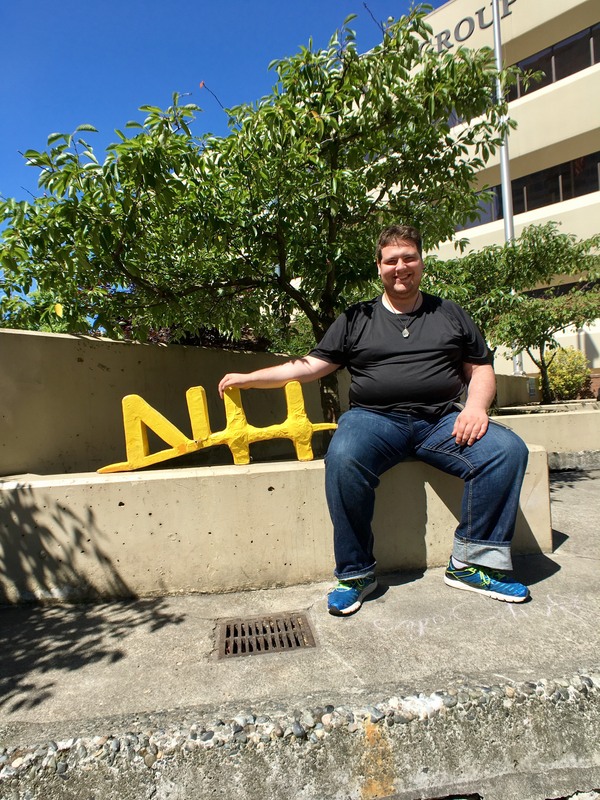 For 10 hours each week, he learns the ins-and-outs of airplane manufacturing at the Tukwila-based Rainier Rubber, where he hopes to continue working after completing his apprenticeship. Fun fact: Zak served in the U.S. Army! Michael has been consistent and hard-working during his first few weeks at Street Bean. 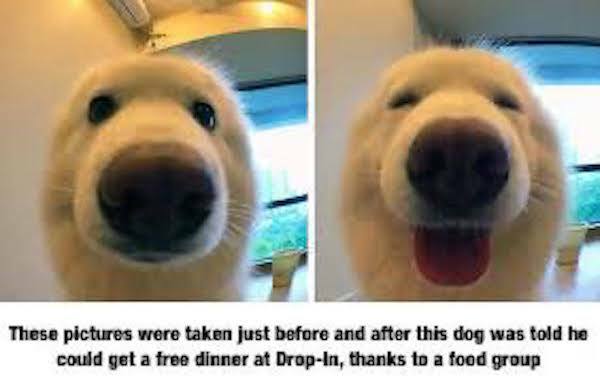 His friendly demeanor makes him a big hit with customers! He also a resident of the Nest. Fun fact: Michael is a master at karaoke. Nest resident Riley is hardworking and eager to learn. Not only does she have two jobs, she’s also looking forward to attending college this fall. Fun fact: Riley’s favorite movie is Ratatouille. Fun fact: His favorite food is pancakes and his favorite music is AC/DC. We are so excited to have Alicia and these seven talented young people working with us for the next few months. Join us in wishing them well and don’t forget to stop by Street Bean & Nuflours the next time you need some caffeine and a sweet treat! 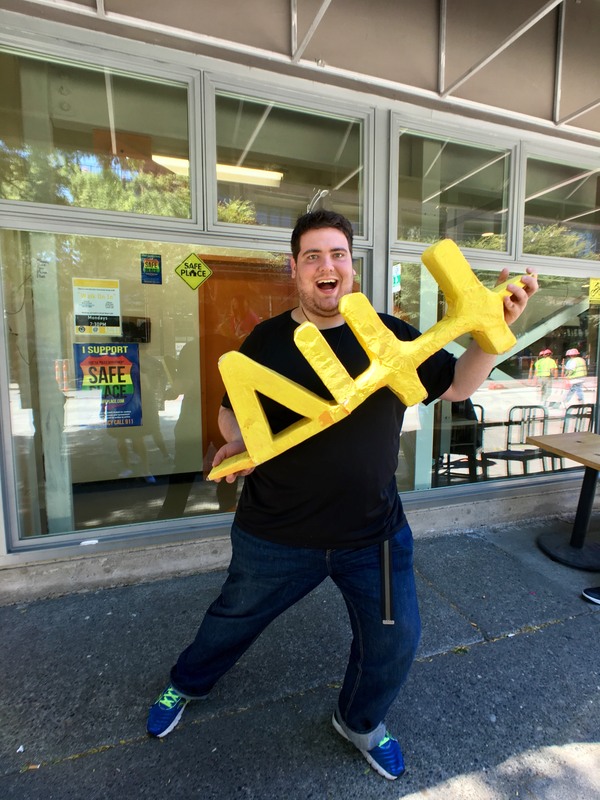 For several years, Count Us In, King County’s one-night count of homeless and unstably housed individuals, returned the same numbers: there were somewhere around 800-850 youth on the streets in King County, with at least 200-300 of them spending each night in alleyways, under bridges, in cars, or in tents. Curiously, as we and other youth service providers added more youth-specific shelter beds, that number remained mostly unchanged. This year’s count was conducted using updated methodology from previous years. All Home, the agency that manages the survey, employed guides for each survey group who were currently or had recently experienced homelessness to canvass census tracts, rather than sending out volunteer teams to pre-identified “known areas” frequented by those living on the streets as they had in previous years. The result was a strikingly different count, particularly of youth and young adults. There are close to 12,000 people experiencing homelessness in King County. The count returned the exact tally of people (of any age) living on the streets at 11,643. A slightly larger half of those (53%) are sheltered in emergency or transitional shelters, while a slightly smaller half is unsheltered, meaning they live on the streets, in an abandoned building, out of a motor vehicle of some kind, or in a tent. Those identified as homeless are mostly from King County. 77% of survey participants were residents of King County when they lost their housing. Only 9% reported living in another state at the time of entry onto the streets. People of color are disproportionately affected. While African-Americans make up just 6% of King County’s population, 29% of Count Us In respondents were African American. Similarly, when comparing representation among the homeless population vs. general population: Hispanics made up 14% compared to 9%; American Indian/Alaskan Native comprised 6% compared to 1%; and multi-racial participants made up 15% compared to 6%. We previously underestimated the number of homeless or unstably housed youth by over 75%. Count Us In 2017 tallied 1,498 unaccompanied youth and young adults between ages 13-25. This dramatic change is not due to an increased presence of youth on the streets but is believed to be more accurate count due to this year’s improved data collection methods. Over 75% of these youth are unsheltered. Even when we believed there were only 200-300 youth on the streets each night (and not sleeping on a friend’s couch or in a car, etc. ), we knew the number of youth-specific beds was insufficient to meet the need. This year’s findings only confirm and make more urgent the need to provide more youth-friendly housing in Seattle and King County, since Count Us In showed that over 75% of the youth surveyed spend their nights on the streets, in abandoned buildings, in a tent, or in a car. Many youth move from foster care to the streets. While 19% of all individuals on the streets reported a history of foster care, 29% of youth under age 25 and 33% of those identifying as LGBTQ said they’d spent time in foster care. Many of these youth age out of their foster homes at 18 and have nowhere else to go. Youth identifying as LGBTQ make up nearly one-third of the homeless young adult population. As we have long known, youth who identify as lesbian, gay, bisexual, transgender, and/or queer are much more likely to end up homeless than their heterosexual counterparts; however, this year’s report shows a higher percentage (29%) of LGBTQ youth on the streets than before. This year’s report comes as a wake-up call for everyone concerned with empowering youth and young adults into their best possible futures. The report also demonstrates that, while the number of youth is higher than previously thought, there is hope. Local government and service providers’ focus on housing homeless families has resulted in 97% of those families receiving housing. This focus can bring our young adults inside, as well. If we focus on early intervention for youth and young adults the same way we have focused on families, we create the opportunity for them to escape chronic homelessness and live full, healthy lives as fulfilled, contributing citizens. Thank you for your partnership that has already opened 34 shelter beds at New Horizons in the last two years. With more efforts like these and friends like you, we truly believe we can make a significant impact for our teenagers and young adults whose circumstances have left them to live on our streets. 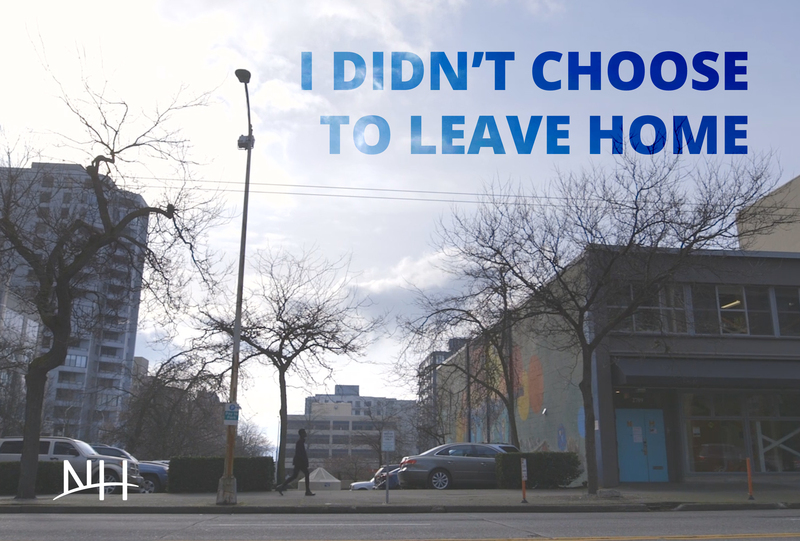 With your help, we believe we can continue making a difference – enough of a difference that no child, teenager, or young adult has to call King County’s streets home. Read the full Count Us In report here. Gloved hands in the air, covered in icing and crumbles from the hazelnut brownies they’d just finishing cutting, Grace and Phebe smiled widely as they jokingly tapped elbows like hands in a high-five. This kind of goofy exchange and bright-eyed encouragement is common at Nuflours Gluten-Free Bakery; that’s part of what makes it such an inviting space. 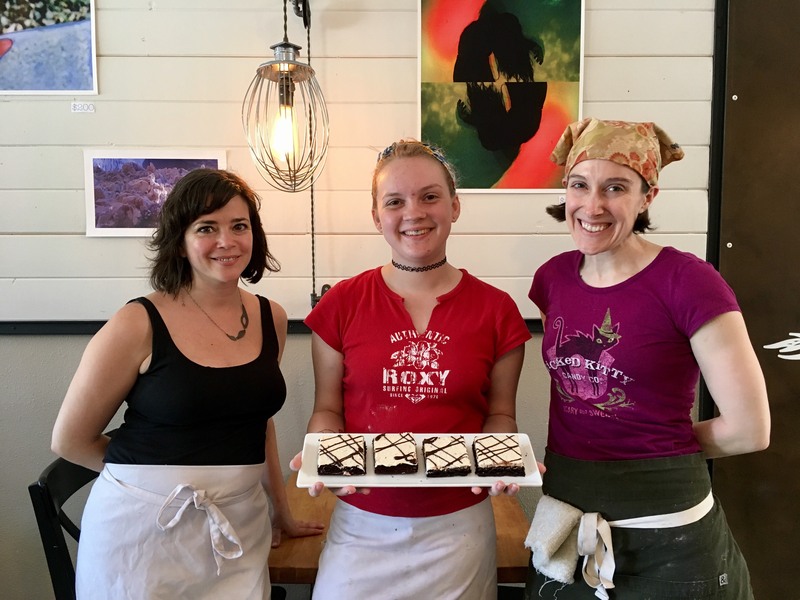 That, and the fact that co-owners Amanda & Phebe are using their business to enrich our community by partnering with us in our newest endeavor: an apprenticeship that prepares youth to work in the food-service & baking industry. Grace, the recipient of that elbow five, is the first Nuflours & New Horizons kitchen apprentice. Phebe looks on as Grace learns the art of making pristinely cut brownies. Nuflours began popping up at farmer’s markets and selling wholesale in 2011 until its first storefront opened in 2014. Since then, their reputation for making some of Seattle’s finest baked goods has catapulted them to gluten-free pastry stardom and grown their start-up into a thriving business. But Amanda & Phebe didn’t only want a successful bakery – they wanted to use their success to help others and to encourage upward mobility for young people whose backgrounds might not have afforded the same opportunities as theirs. Pictured left to right: Amanda, Grace, and Phebe. Fast-forward to 2016: as we were working out the kinks of the kitchen apprenticeship we’d begun in 2016 with the hope of offering food service experience in our commercial kitchen, Amanda had an idea baking in the oven: she was searching online for organizations to partner with, particularly those that worked with youth, and she found us. She attended a community tour, shared her idea with us, and shortly thereafter, our kitchen apprenticeship moved to a Capitol Hill kitchen that smells like it’s blessed daily by God Himself, where Grace now reports for duty and dons a flour-spattered apron a few times each week. This new apprenticeship will be similar to Street Bean’s, but in lieu of barista talents Grace will be honing skills in gluten-free product preparation and baking, skills that will give her indispensable experience in an industry that’s only getting more popular. And her training seems to be off to a quite a start. Both Amanda and Phebe heaped Grace with unsolicited praise, lauding her natural abilities in the bakery. 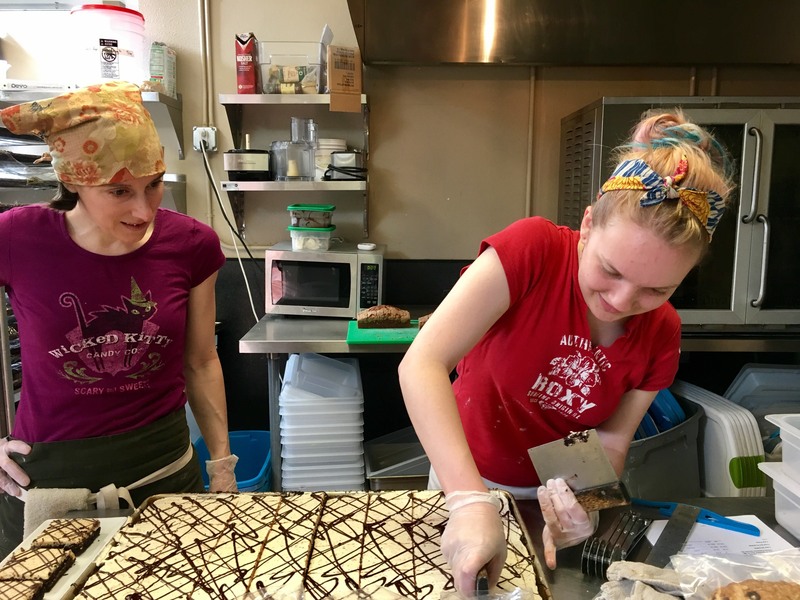 They shared that very few people begin with the talent Grace brings to the job, especially when it comes to details like icing and adding finishing touches to brownies like the ones that prompted the elbow five. Grace one day hopes to open her own bakery, and this apprenticeship is the beginning of a path that could make that dream a reality, all while helping Grace earn a stipend and work toward more immediate stability. It’s the beginning of a partnership we hope many youth will benefit from as they work toward stability. And that, I think, is worthy of an elbow five. Check out Nuflours online and pay them a visit in Capitol Hill soon, where your treat may’ve been made by Grace! We had some shocking news this month. Thanks to new & improved methods to gather data, including the employment of current or recently homeless individuals, this year’s Count Us In survey, a county-wide tally of homeless or unstably housed persons, produced far different results than previous years. What we learned is that there are far more youth spending their time on the streets than we previously thought. There are almost 1,500 homeless people under the age of 25, and 1,142 of them have nowhere to go but the streets. This number is almost double the number counted in past years. In fact, more than 20% of those sleeping outside in King County today are 24 or younger. Although the need is great, you make a difference. Every day, you continue to offer least 34 of those youth the opportunity to escape the streets. In the last two years, your partnership has created space for New Horizons to offer overnight shelter to youth with nowhere else to go, both in The Nest and in the Young Adult Emergency Shelter. Since you’ve helped create these opportunities for youth, over 300 different young people have found refuge in The Nest and in the Emergency Shelter. 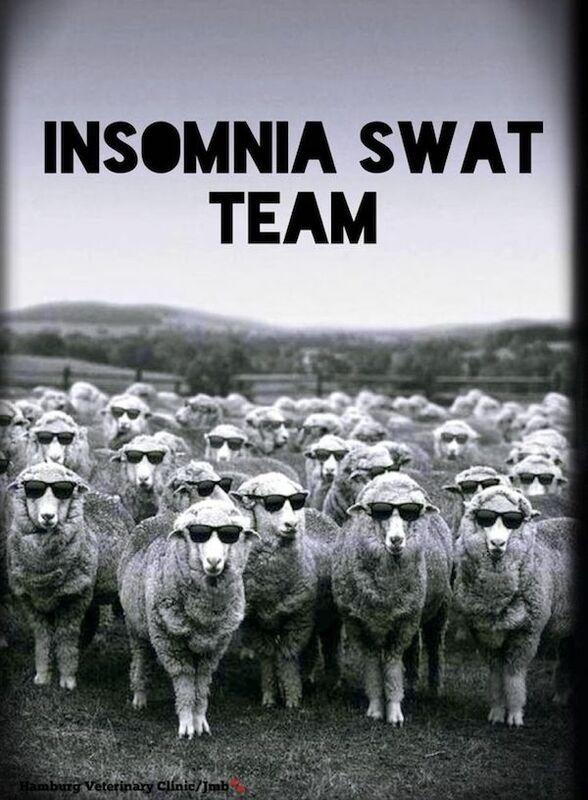 But these youth have found much more than sleep. 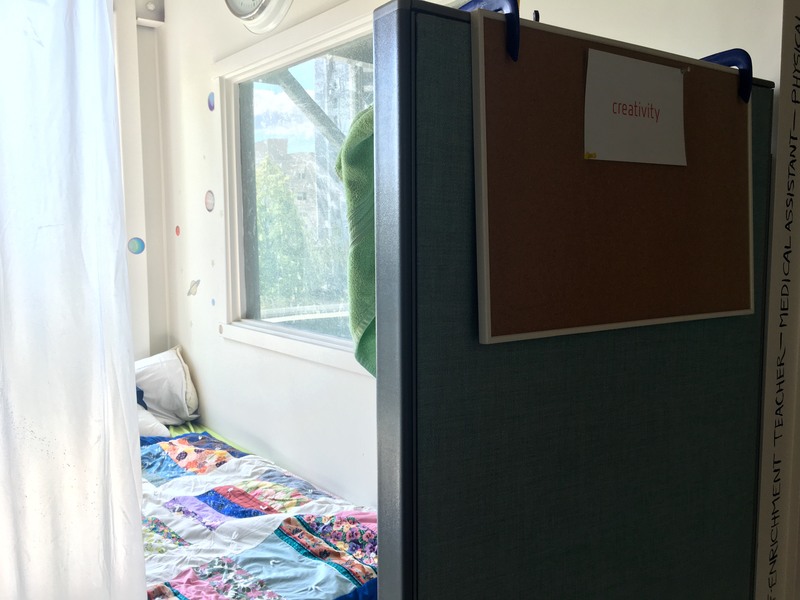 They’ve also received support and friendship from staff, a place to store their things regularly, and for many of them, a path to more stable housing. 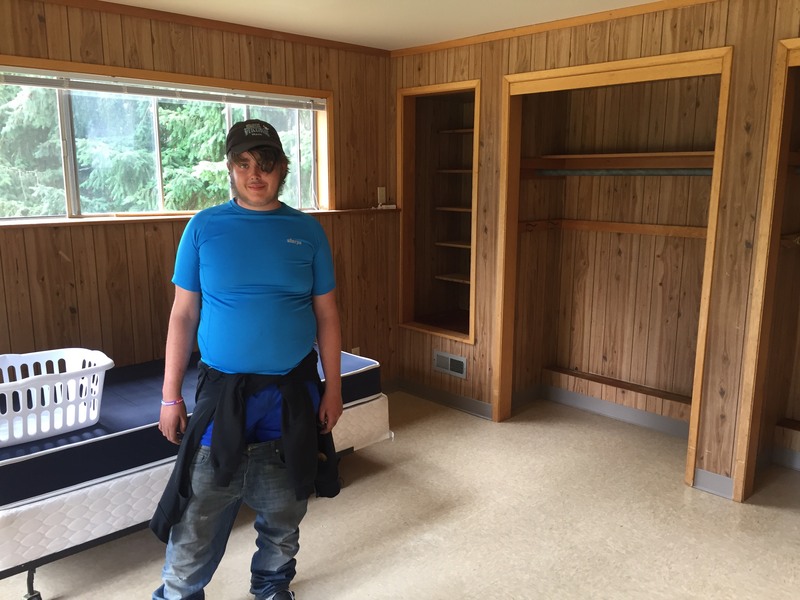 Your support has paved a pathway that more than 60 youth have traveled, moving from the downstairs shelter to The Nest to their own housing in just a few months. 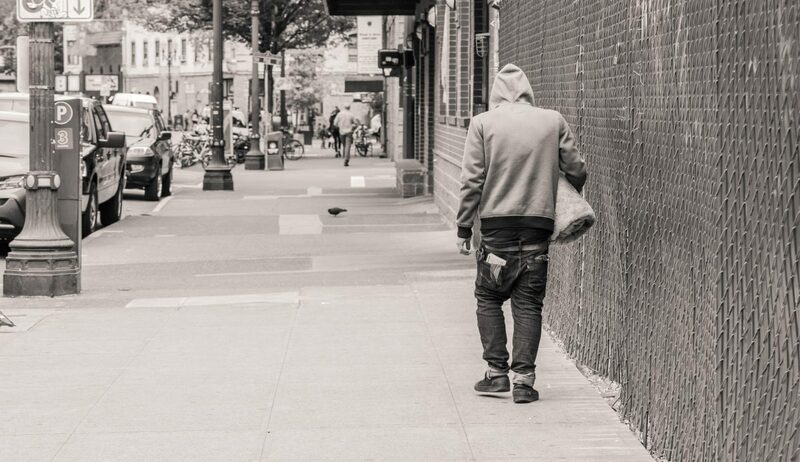 Knowing that so many youth are stranded on the streets, your partnership means more than ever. As we approach the end of our fiscal year on June 30th, we need to ensure we can continue to offer a place of refuge, relationship, and rest for the many youth seeking to exit the streets. Though we can’t offer shelter to every single young person without a home, we can continue being good stewards of the 34 beds we currently have as we look toward opportunities to offer more in the future. One way you can help us is by becoming part of the Home Team: the team youth can count on for a home. These are the dedicated folks who give $1 a day to help guarantee youth have a place to sleep at New Horizons. By giving $30 monthly, you make it possible for youth to sleep soundly off the streets and support them on their journey off the streets. By signing up for the Home Team before June 30th, you’ll help us better prepare for the next fiscal year by allowing us to budget more efficiently, which helps us use your gifts in the most effective way possible for youth who come to New Horizons for refuge off the streets. Thank you for your compassion in the face of our community’s need. 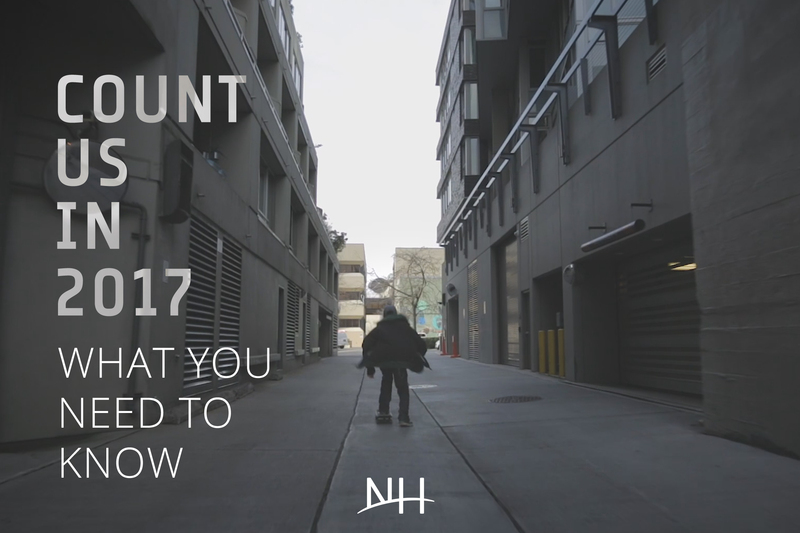 Though the numbers from this year’s Count Us In survey may be discouraging, your partnership gives us hope that these homeless kids on our streets will not be forgotten or overlooked, but taken in and given the chance at a full, happy life. P.S. If you don’t want to make a monthly gift, any gift will make a difference. $30 covers one guest’s stay in The Nest for a night, while $360 covers all twelve guests’ needs for a night. $500 covers the monthly cost for showers for guests in both shelters, and $800 pays the monthly food bill. Thank you for partnering with us to be a place of refuge for youth on our streets!